Is it actually possible to live a life without regret? I like to think so: at least to have only minor, insignificant regret. independent and even distant. 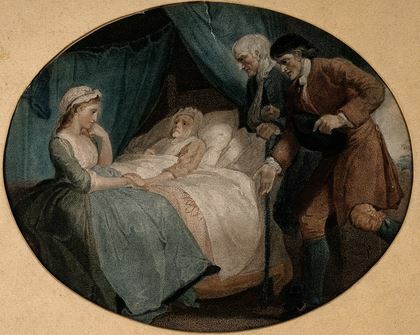 Sally now lay mostly inert in the bed while her daughter’s gentle hands and voice cared for her. Sally’s son made numerous excuses why he kept postponing what looked to be the last visit, but finally at a hospice nurse’s encouragement, he made the trip. His sister had said how he feared being here, possibly because he didn’t want to see the reality of his mother dying. After his arrival, the next day at my visit, I asked the daughter how her brother fared the night before, finally seeing his mother. my home today….oh yes, he knows she could go anytime”. She proceeded to tell me about his great divide: the desire to be here yet concurrently the total abhorrence to come through Sally’s bedroom door. That was a Friday. I didn’t expect to see this patient again, so I said my quiet goodbye to her, and wished her a happy Mother’s day, I was certain even in her barely responsive state it would be a little happier now with her two children nearby. The next Monday, I was rather shocked to see Sally’s name on my visit list. She survived the weekend. I headed over first thing in the morning, and as the door opened, the daughter’s whispered voice met me with, “I think she just took her last breath”. She had indeed. Then she told me of her conversation that last night together with her brother. They stayed up through much of the night, thinking this was the last honor they could bestow on their mother. He told his sister as they spoke quietly in the living room, “I regret not having spent more time with her. I really regret that. What was I doing, not coming up? Why did I do that?” His sister tried to provide some comfort, and insight, but was glad she would not feel that same remorse. In her wisdom, she had not pressed or accused, recognizing his need to stay away- his own way to deal with his mother’s death- and she hoped he would later forgive himself a little. I wonder, is it possible to live a life without regrets? We gain strength, and courage, and confidence by each experience in which we really stop to look fear in the face…We must do that which we think we cannot. This entry was posted in death bed vigil, end of life care, family of the dying and tagged caregiver roles, family, mother's day, reluctant family members. Bookmark the permalink.